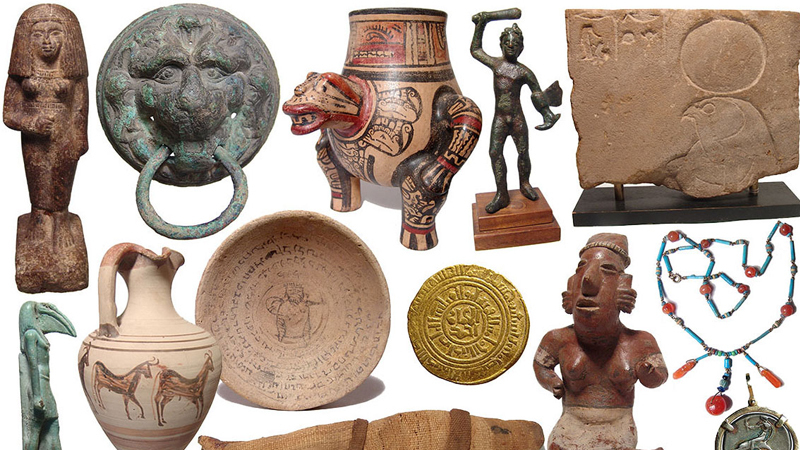 Ancient Resource Auctions' upcoming March sale features over 450 fine, museum-quality treasures, including Ancient Egyptian, Greek, Roman, Byzantine, Islamic and Pre-Columbian antiquities. This Egyptian head from a sphinx is from the Ptolemaic period, when a Hellenistic kingdom ruled Ancient Egypt (332-30 BC). 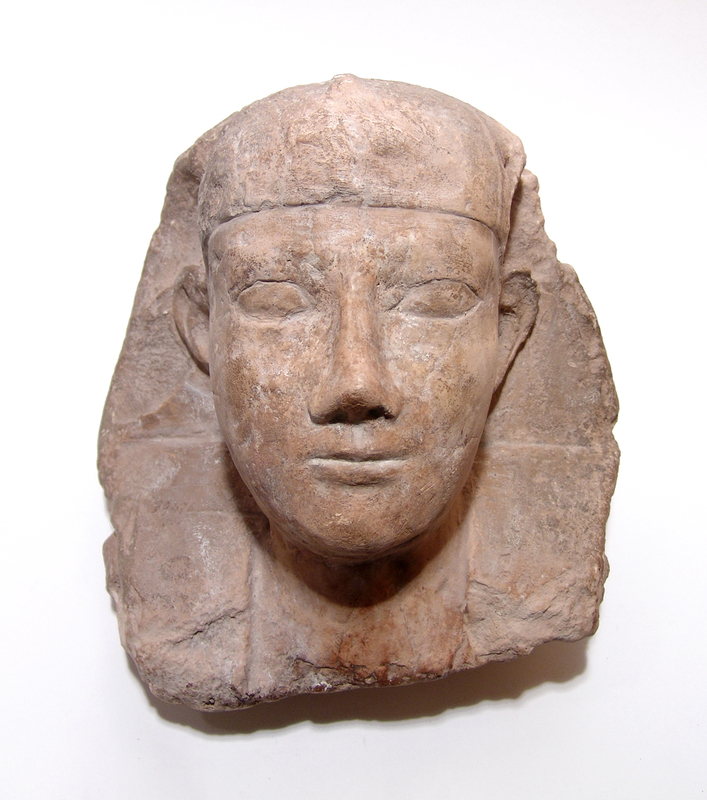 The finely carved head shows a Pharaoh wearing the Nemes head cloth and is in excellent condition. It was once in the collection of Ruth Deyo, a renowned concert pianist in the first half of the 20th century, and her husband Charles Dalton. Ruth Deyo was fascinated by Ancient Egyptian culture and was a close friend of Howard Carter, who discovered the tomb of Tutankhamen. 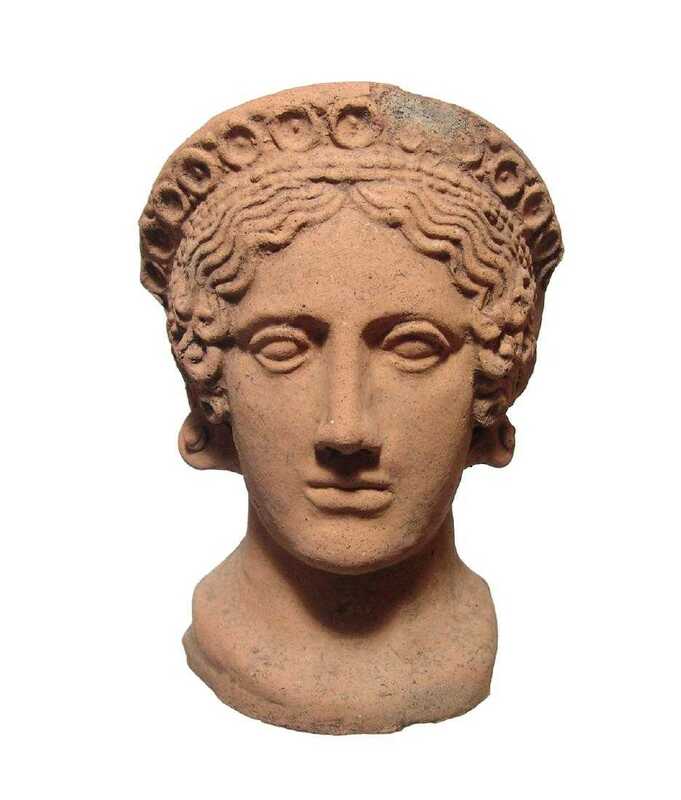 This Etruscan terracotta female votive head dates to the 4th century BC. Votive heads were often placed in temples and displayed identifying features such as wavy hair and large, almond-shaped lidded eyes. These figures were also accompanied by a decorated crown or headpiece and holes in the earlobes where earrings could be hung for embellishment. This Tanagra woman dates to the 3rd-2nd century BC and is a fine example of the figurines produced in the central Greek region of Tanagra. Archeologists have discovered great quantities of these terracotta figurines, which were often in or near tombs, and were meant to serve as comfort to the dead. 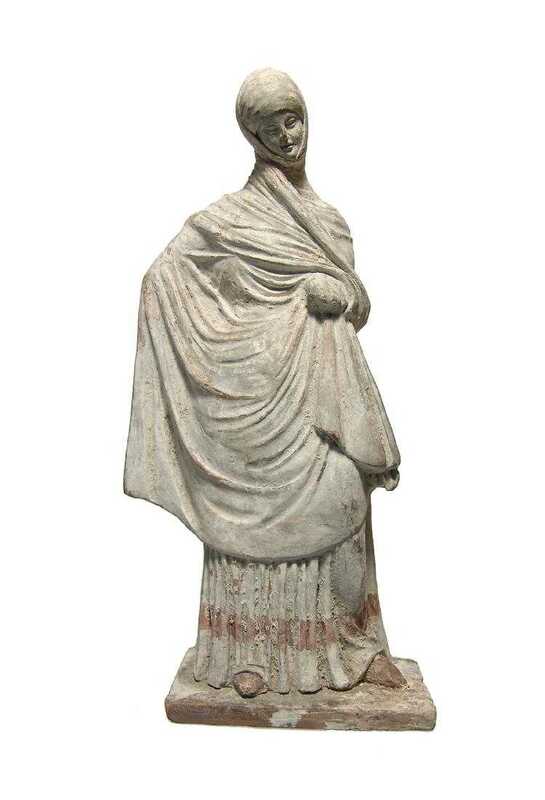 The standing female figurines were almost always dressed the same, draped in a chiton dress and a billowy himation wrapped around their arms and torso, but other figurines depicted seated men, children playing or Greek gods and goddesses. The most famous Tanagra figure is the Lady in Blue, exhibited at the Louvre. 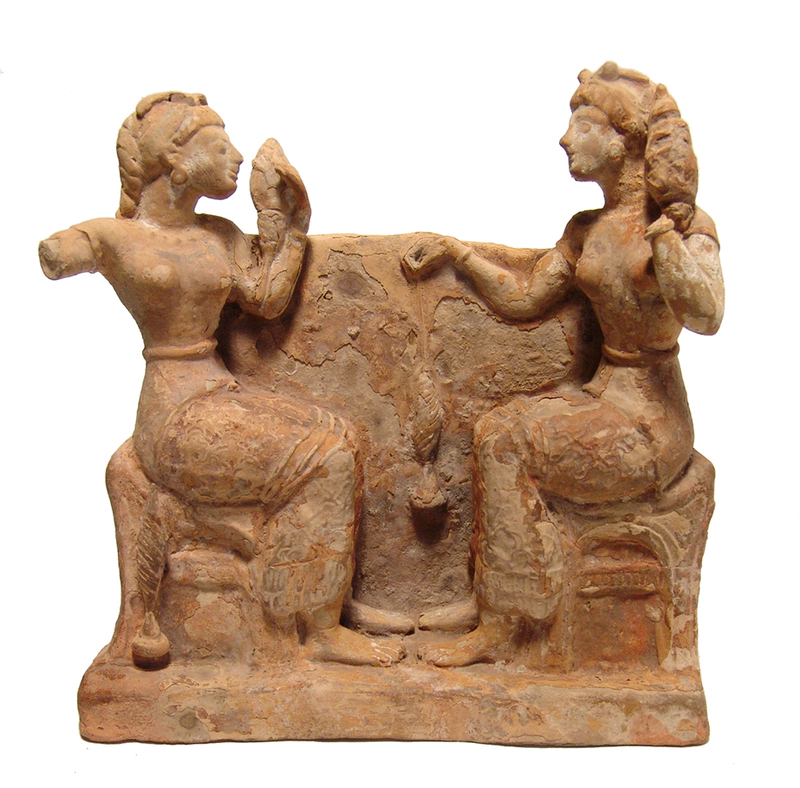 Dating to the 5th century BC, this Greek terracotta relief scene depicts two women seated on ornate chairs and facing each other as they spin wool into yarn. Made partially in the round, this kind of decoration would have been attached to a funerary vessel for a wealthy person because of its degree of detail and the upper class women represented. 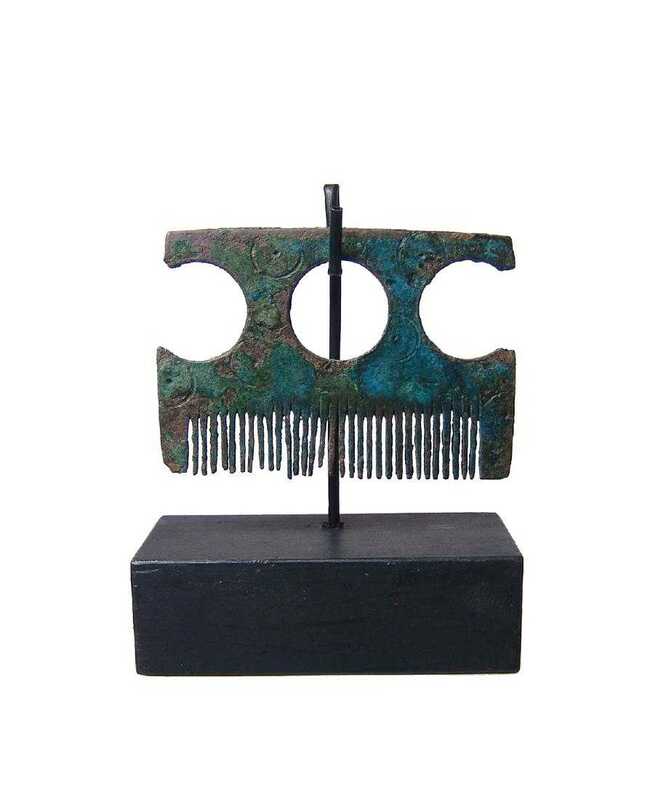 This rare Viking comb is made of bronze and is sourced from Northern Europe between 8th-9th century BC. It is decorated with geometric designs and dragon spirals. This period coincides with the late Germanic Iron Age and the early Viking Age. Just recently in 2018, a Viking comb was discovered from the same era in Denmark whose inscriptions revealed the Ancient Viking alphabet that evolved in 800 AD.